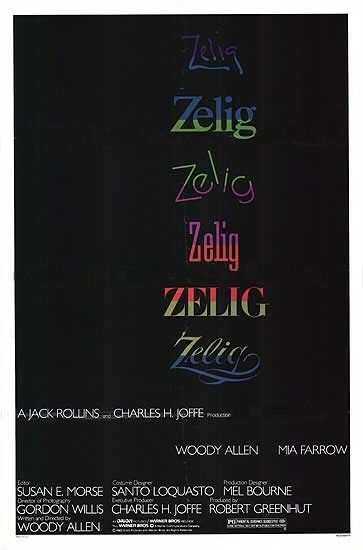 Woody Allen’s Zelig is a light-hearted, tongue-in-cheek mockumentary told through a veritable 1930s-style news reel. Despite being a simple love story at heart, Allen’s film demonstrates remarkable subtlety of theme about a common man who expresses his desire to fit in to society by literally adopting the characteristics of others. Zelig not only entertains, but manages to expose the desires of every human being through the fantastic journey of one human chameleon. 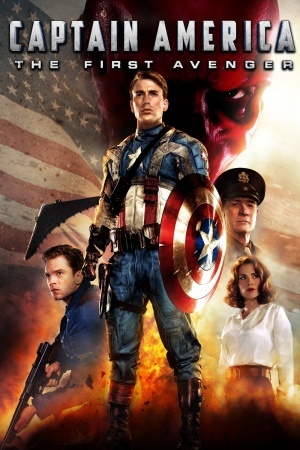 Captain America: The First Avenger is the best of the “Avenger” origin movies to date. Although well written and directed, special recognition is in order for the film’s excellent casting, studded with marvelous actors and nuanced, layered performances. Hugo Weaving is a delight as always—that is, until he takes off his mask, at which point he loses his broad range of subtleties and becomes a mere caricature (as disappointedly expected in the superhero genre). Chris Evans displays remarkable flexibility in his transformation into Steve Rogers compared with his previous performance as the Human Torch in both Fantastic Four films wherein Evans plays a character who could not be more different. Impressive performances by Stanley Tucci and Tommy Lee Jones are also unavoidably worth noting. Invested into the story is an intelligent journey toward the burgeoning of Captain America as superhero, playing upon not only the usual choices of balancing heroism and humanness but also the very idea of Captain America as an icon of World War II symbolism. Captain America ends up parodying his future self before actually taking the plunge into his role as true hero. Few superhero stories can boast an equally clever step. To cement his role as hero icon of the War, Captain America also makes the choice to not live to fight another day (in his own time), but makes the ultimate sacrifice—the mark of a true hero—one few comic book “super” heroes make, even though the term “hero” implies such a requisite act in order to receive such a lofty title. Still, at times the action pushes beyond the realm of believability, which is further exacerbated by a few sub-par special effects and the obligatory comic book-like action sequences in the third act (which are always a bit harder to swallow). Also, one finds the glaring lack of visual verisimilitude in Steve Rogers’ pre-superhero physique annoying to the point of distraction while the minions of Hydra appear plagiarized from an unrelated videogame called Return to Castle Wolfenstein (2001). Overall, an enjoyable superhero film with a little something more. I am a story consultant offering a special deal here on fiverr.com where I read the first 20 pages of your feature or short script and provide FULL PROFESSIONAL FEEDBACK for only $5. Providing feedback or coverage on a full 120-page script would cost you $30 at that rate–and that’s a darn good deal. I will also do 20 pages of fiction, nonfiction, memoir, poetry, RPG writing, social media writing (tweets, etc.) and even 20 photographs. 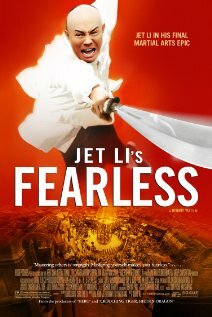 Jet Li’s Fearless (aka Huo Yuan Jia) is a martial arts action film told in the old Hong Kong studio style. While the fight scenes are nothing special in of themselves, watching Jet Li attempt to act is always a grueling task for even the most die-hard of his fans. The impressive layered conclusion is packed with subtext, character and emotion, in spite of the obligatory (and blatant) pro-Chinese, pro-unity message required to pass government censorship. A must for any fan of Jet Li or kung fu diehard, a popcorn film for everyone else. I am offering a grand opening special rate for a 1-page analysis (single spaced)! Send me a short piece of writing (30 pages or less) and I will write a brief analysis on what works, what doesn’t, and how to improve your work in your next rewrite. I am a story consultant who helps new and working writers realize the full potential of their writing. You will not be disappointed! No more than 30 pages (double-spaced for prose). Send less for faster response time. 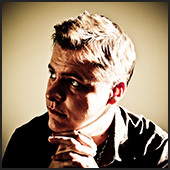 I will do screenplays, TV scripts, stage plays, prose, film and photography. Check out the deal on Fiverr.com! My work now available on Kindle. The Poetic Bond, a poetry anthology containing my latest publication, a literary poem called “My 30th,” is now available at on Kindle through Amazon.com. Be sure to pick up a copy and support poets across the globe! The most remarkable feature of The Mothman Prophecies is its arrestive visual acumen and atmosphere. Not a minute goes by without haunting imagery gracing the screen. Unfortunately, the story is weak at best, and its interlocking pieces ragged, tired, or forced. 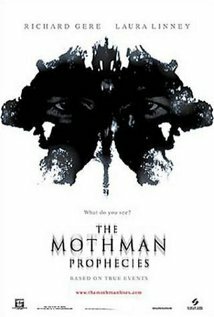 Although the supernatural entity known as “the Mothman” is supposedly the lynchpin of the story, he need not exist at all since the plot involves a number of individuals having prophetic visions, and the fact that the Mothman sometime appears in them is only incidental. Also superfluous to the plot is the main character’s relationship with his wife (the focus of the B Story), which fails to have any conclusive ending nor any reason for inclusion in the film except as a weak initial impetus to move the protagonist to the remote location of Point Pleasant, West Virginia. Laura Linney’s acting performance is worth mentioning. Despite the minimalist approach to her character, it proves to be one of her best performances and indicative of her serious dramatic acting ability. This psychological/supernatural thriller is also a borderline horror, and will appeal to those in the mood for an intriguing, even perplexingly illogical, filmic experience.